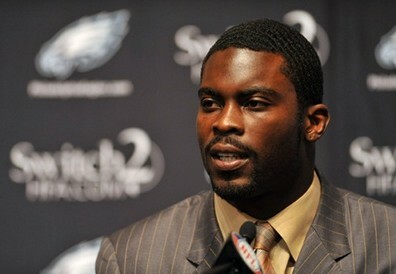 *It’s been a long hard road to gain favor again for both Chris Brown and Michael Vick. In an interview with the Wall Street Journal, Vick, who happens to be a fellow Virginia native, told the paper that (his peer and singer) Brown needs to get focused. From Vick’s dog fighting past and Brown’s domestic abuse, the two really know what it means to be outcasts. But being the more mature one between the two, it is a nice gesture for Vick to present some good words of advice and encouragement to the 21-year-old who recently flipped out at ABC’s “Good Morning America” studio. And about that, Vick said get it together. Chris would be wise to model himself after Vick. Michael is going about hsi business and focusing on career and he is staying out of trouble. So true ClosetNerdGirl. I forgot about Chris tweeting every dam thing.